Making sure you’re home is green can be easier than it seems. In this comprehensive article we cover everything you need to get started. Making your home eco-friendly can be easier than you think. Learn how using renewable energy can save your household or office money on bills each year. Reduce carbon footprint by adding eco-friendly upgrades to help sustain the environment. At a time when pollution is having a devastating impact on the planet, more and more people are reaching for sustainable solutions to daily living. 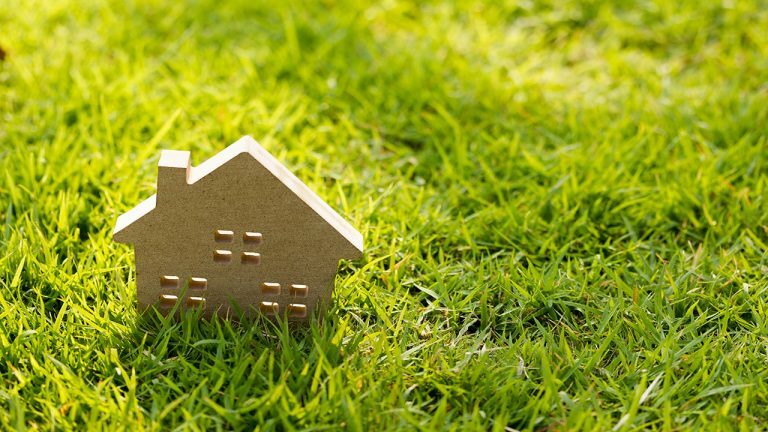 Building a green home from the ground up is a fantastic opportunity to create more environmentally friendly living conditions while also saving money, reducing waste and cutting greenhouse gas emissions. A green home not only benefits the environment it also provides comfort, improved air quality and more predictable utility bills. This guide not only covers building a green house from the ground up, there’s also a selection of tips to make your current home more energy efficient. How would you change your home? Choosing a sustainable site for your new home is just as important as the build itself and will likely take some prior research. When deciding where to build, avoid areas that are naturally sensitive such as floodplains and wetlands, as well as areas that are vulnerable to erosion, have a high wildfire risk or are at sea level. It is better to build on areas that have already been built on rather than use land that has never previously been developed. Consider the natural elements that are present on the site, you will want to position your new build in a way that does not impact these natural factors too much – for example, think about the position of the trees as you will want to avoid cutting any down if possible. Ideally the location of your new home will be close to you and your family’s jobs and schools as well as shops etc. or within easy range of public transport. When deciding on a suitable site to build your new, green home there are a few major factors that should be considered. Thinking about these things now will be a huge help not only for the building of your new home but also for living in it. Water – Having a natural water source such as a borehole or natural fountain will make a considerable difference when it comes to connecting the water and living in your new home. Understand the Weather Conditions – Generating natural power will involve either the sun or the wind (or both). Find out about the weather conditions for the site to determine whether there will be enough sun or wind to power your home naturally. Utility Access – If you are not able to fully power your home with renewable energy, think about the services you will require and find out their cost and availability. Some services you may want to consider include electricity, gas, landline, water, wastewater treatment and waste disposal. Ground Fertility – Finding out about the soil around your site will help you when it comes to growing your own food. Bringing in an expert can help you to analyse the soil and determine if the ground is suitable for growing and what plants you would have the most success with in which areas. Access – The site should have a good access road that guarantees all-weather access. This will make a considerable difference when it comes to building your new home as well as living in it. Once you have chosen a suitable site and you are satisfied with the water source, weather and fertility of the ground it is time to start developing. As with all homes, the starting point is a good foundation. Your homes foundation can play a role in heat retention, which will reduce the need for heaters within your home. Aluminium or plywood are both excellent materials to use for the house foundation, these materials tend to be more expensive than other options but will contribute to saving money on utility bills in the future. This is also the time to take measures that will prevent rainwater from damaging your home, one of the most effective ways to do this is solid concrete. Concrete is able to create a barrier that stops the rainwater and if you wanted to you could even lay the concrete in a way that creates tunnels to guide the water to a specific point so the rainwater can easily be collected and used. Your basement needs to be well insulated to avoid moisture build up. If moisture can build up it leads to mould growth and this has an impact on the maintenance and longevity of your home. By ensuring proper steps are taken now during these early days, the benefit to your home is significant. When choosing materials for your new home, you want them to be both durable and sustainable. As with the foundations, the materials you choose may be more expensive than other (less sustainable options) but the long-term results are worth the extra spending at this stage. Here are some of the best materials to use that are not only sustainable but also help your new home look great too. Precast Concrete – A more eco-friendly option that normal concrete while still being very effective in strengthening your home. Recycled Steel – Utilising steel that already exists is a great option if you would like your home to be fortified, steel is very strong although it can be expensive and your home may be a little colder than if you use other materials. Bamboo – Strong, sturdy and quickly renewable. Bamboo is an excellent option for building as it has excellent tensile strength and can be used for many purposes throughout a build for example under floors or for windows, using bamboo can help provide ventilation and will not require a lot of maintenance. Polyurethane Foam (Plant-based) – Using this foam can provide another layer of insulation after you have built your home with the chosen materials. This foam is rigid and offers protection against mould while providing sound insulation and heat resistance. When choosing materials for your new build, keep an eye out for opportunities to use recycled or reused materials. Some examples of this is using rubber tyres for flooring and reusing recycled windows and doors. Make sure the materials are sustainably harvested, for example if you are choosing to use wood make sure it comes from a well-managed forest and comes with the necessary documentation and certification to confirm this. Although, when it comes to using wood it’s better to use recycled and reclaimed wood. No matter what materials you decide on using, use locally sources materials where possible. 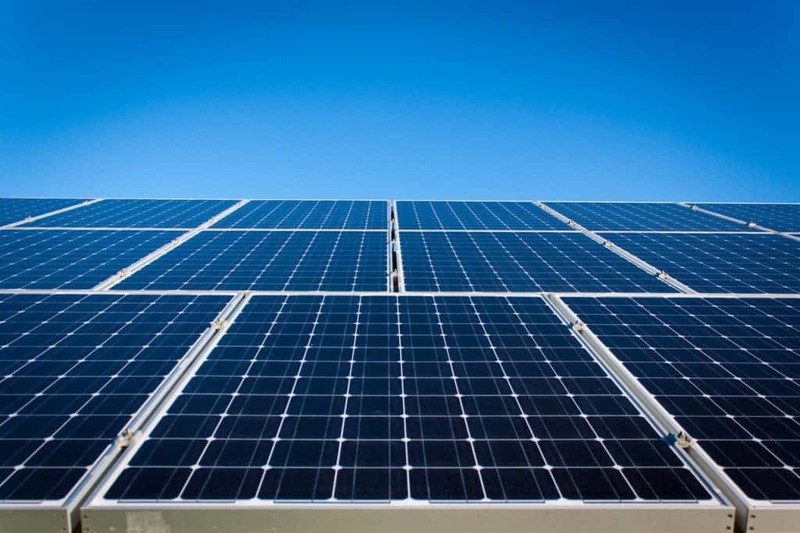 Add Solar Panels – Make the most of the suns energy by adding solar panels to your roof. If your home is positioned to get a lot of sunlight this is a great idea. Roof Garden – You can use the roof space to grow plants that thrive in direct sunlight. A roof garden can help increase the lifespan of the roof by essentially protecting it from the elements. Energy efficiency is also encouraged by having a roof garden as plants will absorb the sun’s energy reducing the roof temperature in summer and locking heat inside in winter. Sun Roof – A sunroof is a great way to allow plenty of natural light into your home while also having temperature control. A sunroof will bring more heat into your home in winter but ideally, you’d want to close the sunroof in summer so the heat can be reflected and your home can remain cool. Also consider the colour of your roof, dark colours will absorb more heat while light colours will reflect more. Therefore, a lighter roof will be able to help you keep your home cooler on the inside. Building your home with materials that require less maintenance will help you to save on costs too. Concrete and steel both have a high durability rating and require far less maintenance than a material such as wood that requires annual treatment. Although, sustainable wood is a very attractive material to use it is important you treat it regularly to ensure it remains waterproof and free from insects. We mentioned earlier that the two main types of energy generation you will want to consider are solar and wind. At first, it may be slightly more expensive to generate your own energy than to choose an energy supplier but utilising renewable sources is clean, green and reduces your dependence on non-renewable energy. Installing solar panels allows you to use the sun’s rays to charge batteries which can then be used as power in your home. Generally, solar panels are expensive to buy but they are a long-term investment (a typical warranty for a solar panel is 20 to 25 years). You can choose to use solar panels for producing energy or you can choose solar heating (also known as solar thermal) for heating water. Solar heating for water is less expensive than a system that produces electricity but it depends what your solar energy requirements are. The best position for solar panels are on the roof as in that location they can use sunlight without blocking sun – to the garden for example – or getting in the way. Some people decide to position solar panels along the ground too but it depends how much space you have available. Capitalizing on wind energy by using small scale wind turbines to power batteries is also a viable option. According to The Energy Saving Trust, 40% of all wind energy in Europe also blows over the UK making the UK ideal for small wind turbines. As the wind turbines store electricity in batteries, there will still be electricity available even on a calm windless day. Maintaining a wind turbine will cost around £100 – £200 annually, depending on the size of the turbine. Of course, you don’t have to just choose one of the renewable energy generation methods. You may decide to use both systems if your area and weather conditions allow for this to be an effective option. You can increase energy efficiency within your home by using Energy Star Certified appliances. These are ones that use less energy than normal appliances while still doing the same thing. You will require water both inside and outside of your home. As we mentioned earlier, water set up is far easier when your home is positioned close to a natural water source. You may use boreholes for water, this will save on your water bills but will cost to initially set up the pipelines. Collecting rainwater is an option too, the downside to rainwater is that it is not as reliable as other water sources. We still recommend collecting water as it is a great backup to have and is good for use in the garden. Another great option when it comes to watering your garden is using water that you have already used (sometimes referred to as grey water) for example, water from your baths, showers, dishwasher and laundry. You can also improve your water efficiency by installing low-flow taps, showerheads and toilets. Every drop of water counts and by being more water wise and efficient you can make sure your source never runs dry. Also, be aware of the plants you are growing as some are extremely water-hungry and for the sake of water efficiency may be better avoided. While there is no way to completely avoid pollution, it is important to do what you can to reduce the amount of pollution being produced. If you are living off the grid, you will need to consider the management of wastewater. On a small scale, you can direct the sewage to a part of your garden that won’t be used for growing food. You may also use the sewage on the grass around your home but keep in mind the smell that this may cause. However, a septic tank or sewage treatment plant are typical ways of dealing with sewage when off the grid. It is better for the environment to use precast material when building your home. It is often cheaper to cast the material at your building site but this will leave concrete leftovers around your site and can have adverse effects on the environment, for example stopping certain plants from growing. When choosing construction materials, keep in mind the impact they have on the environment. Try to use local materials and opt for recycled or reused rather than new. When it comes to managing rubbish, we all need to be buying less, recycling more and reducing the amount of packaging we use. If you have waste collection, the local council will pick up your rubbish on certain days of the week, otherwise you may take rubbish to your local landfill when appropriate. Composting garden waste and food products rather than throwing them with other rubbish to go to landfill is a great way to be more environmentally friendly and reduce the amount of global warming gases being produced. Another bonus is that the compost can be used as fertiliser for your garden later on too! Fires should only be made using renewable, natural woods. If possible, use wood from your own trees but do not take excessive amounts as this will negatively impact your natural resources. Paints – Acrylic and latex paints generally contain little or no Volatile Organic Compounds (VOC). Avoid paints, varnishes and cleaning products containing VOCs as they give off harmful fumes, overexposure to these fumes can cause a range of problems associated with the respiratory system. Floor Covering – carpets are better avoided as they harbour dust, but if you do want carpets in your new green home, choose ones made from natural materials. Mould – If there is moisture in your home, it causes mould. You can avoid the collection of water in areas such as the bathroom by installing ceiling fans. According to the NHS, damp and mould can affect your health by producing allergens, irritants and toxic substances. It is best to take preventative measures such as installing proper ventilation to avoid the build-up of excess moisture in your home. Want to Go Green Without Building a New Home? Building a new home is a huge undertaking, if you are in a position to do it we recommend you start small and upgrade/ introduce more energy saving features as you go rather than trying to do it all at once. If you would like to make your current home more energy efficient, take a look at our top efficiency tips below. Having good home insulation has a significant impact on the amount of heat lost through the roof, walls and floor. By having improved insulation, there will be less air leaks and your home’s heating and cooling costs will be reduced. If you have single-glazed windows you will likely be experiencing draught problems, condensation on the inside of your windows and even noise pollution coming in from outside. By replacing these with thicker windows you will improve your homes energy efficiency and you’ll be able to wave goodbye to the host of issues that old and tired single-glaze windows bring. We discussed solar panels earlier and they aren’t just an option for those building a new home, they are a great option for your current home too. Installing solar panels will help you to save money in the long run, they require very little maintenance and are a fantastic green energy solution. If you are decorating your home choose eco-friendly products where possible, for example ones that are water-soluble or made from plants. If you are using wallpaper, opt for wallpaper made from sustainable materials. There are a few ways you can be more water efficient in your home. You can switch your taps, showers and toilet flushes to low-flow option that use considerably less water. You can collect rainwater and use it for watering the garden, flushing the toilets or doing the laundry. You may even decide to use greywater (water from your showers, baths, laundry and dishwasher) for flushing the toilet and watering the garden. 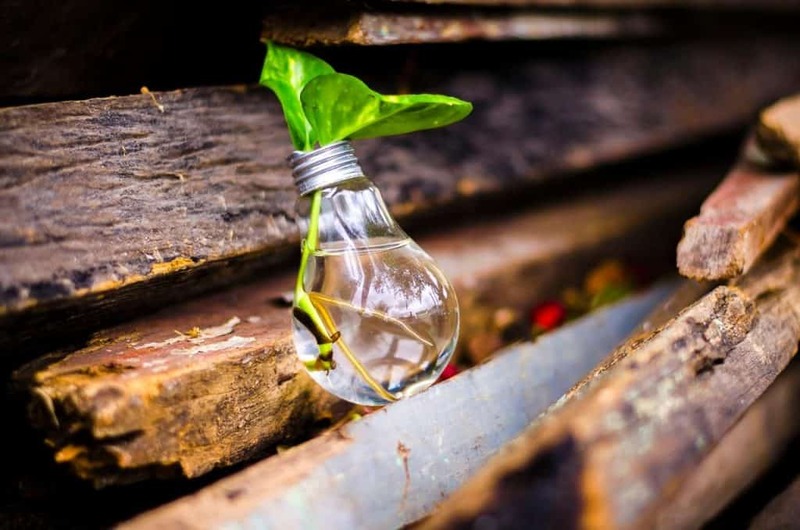 Opt for lights that require less energy, switching to LED from incandescent bulbs will be more efficient, less toxic and will produce lower carbon emissions. Other ways you can be more mindful when it comes to lighting are; avoiding multiple fittings, using lamps, keeping light bulbs clean, installing dimmers and making the most of natural light. Building a green home, or making your current home more energy efficient, presents the opportunity to make your activities and day to day life more sustainable. Thinking about the environment is essentially thinking about the future. Building a green home will not only create a wonderful place for you and your family to live but will also save you a lot of money in the long run and will play a part in creating a brighter future for the planet too.